Oklahoma City…what’s the first thing that springs to mind? It’s ok, you can be completely honest with yourselves and admit that there probably isn’t too much that immediately pops into your head unless you have visited this city previously. 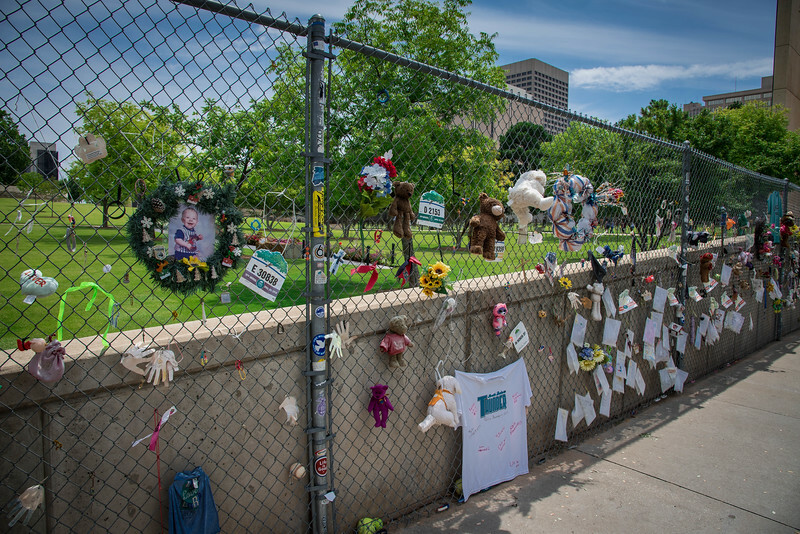 For those of you that do have something in mind, perhaps it will be the tragic events in 1995 that will long live in the memories of OKC locals. However, after reading this post, we are convinced that you will be raring to book a trip to the heart of Oklahoma and experience at least 48 hours in Oklahoma City for yourselves. 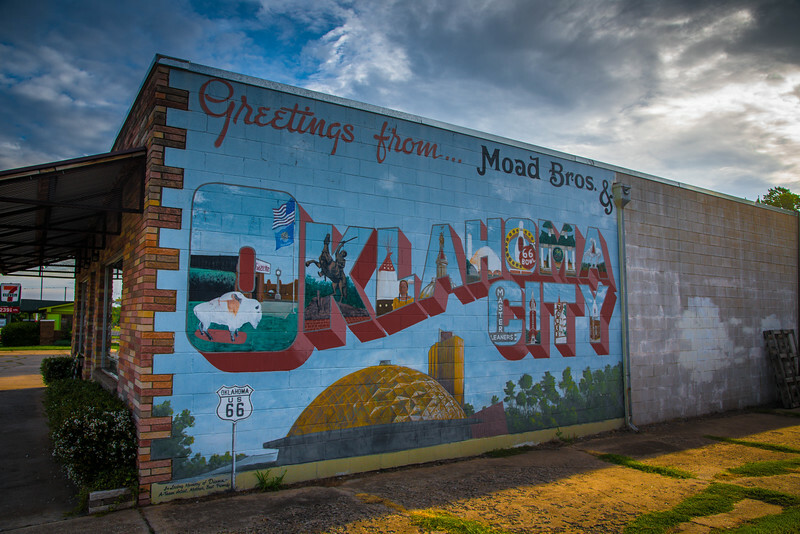 We have been fortunate to visit Oklahoma City on two separate occasions. Each time was completely different from the other, epitomizing just how this city has a diverse blend of neighborhoods, attractions and much more than will easily keep you occupied for several days. 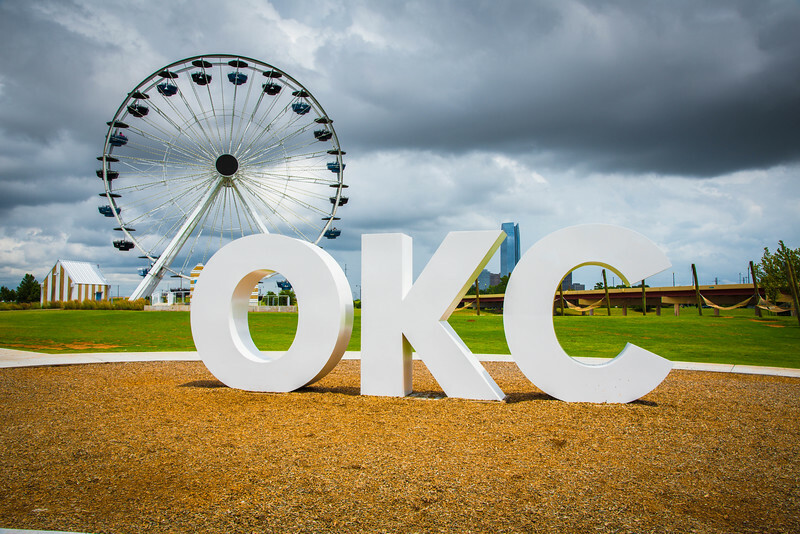 Regardless of how you travel, what your interests are or what types of cuisine you love, we are 100% sure that Oklahoma City has something for everyone. A pretty bold statement to make but one that I believe after reading this post you will completely agree with. Let’s take a moment to look at a stereotype that this city faces. 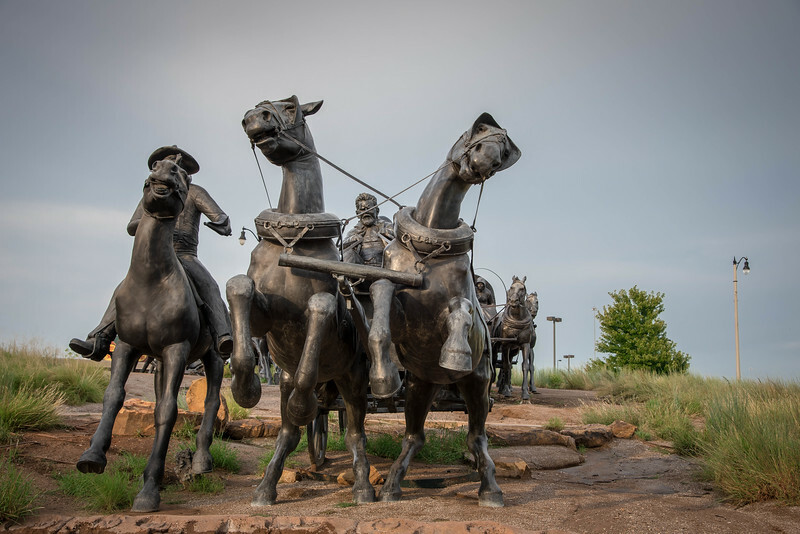 Oklahoma City does not have the immediate glamor and wow factor that will attract millions of visitors from across the globe without a little effort. But that in itself is what intrigues us so much about this city. The beauty of OKC is that it offers an eclectic range of things to do yet with a real local feel that welcomes every visitor to the city. 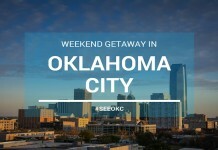 Oklahoma City is one that you can easily enjoy a long weekend getaway (or even longer if you have time! ), so let’s take a look at exactly what you can enjoy around this beautiful metropolis. 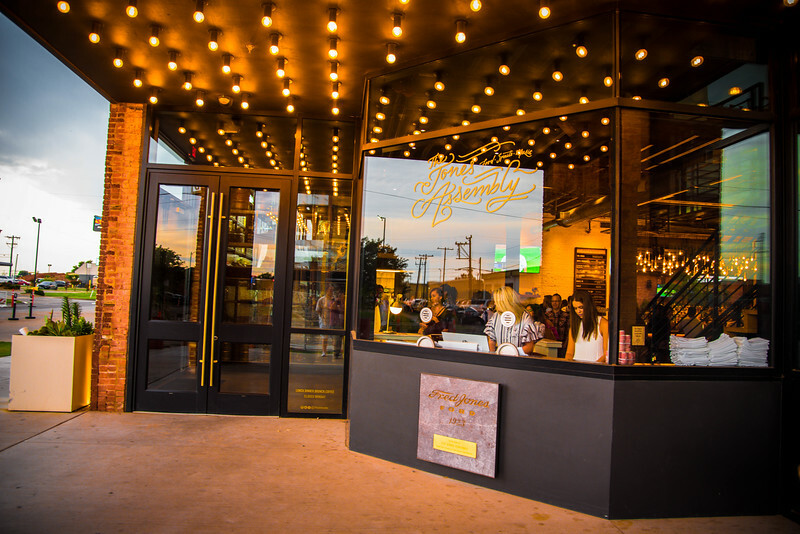 READY…SET…GO…that’s pretty much how you need to be prepared to experience Oklahoma City!! There is A LOT to do, a lot to see and a lot of epic places to eat and drink while hopping around the city. If you only have 48 hours to experience the heartbeat of Oklahoma, well you should probably keep reading on and follow our recommended itinerary to enjoy the very best of this city. 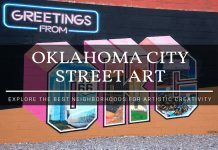 I will add the caveat right now, you cannot really go wrong with following our guide but should you prefer a little spontaneity, there are plenty more things to enjoy in OKC! 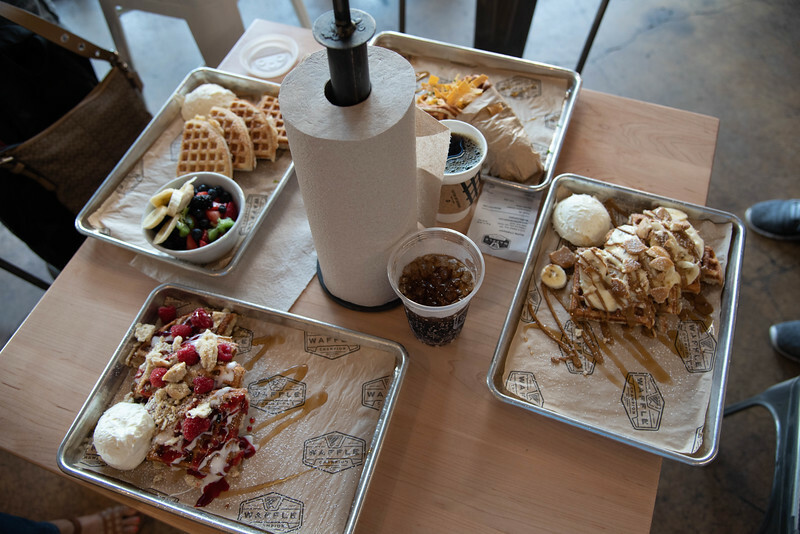 If you are visiting Oklahoma City for the first time, there is a staple requirement that we feel everyone needs to experience – Waffle Champion. You could be forgiven for immediately associating this with the stereotypical “Waffle House” experience but this is anything but that type of place. 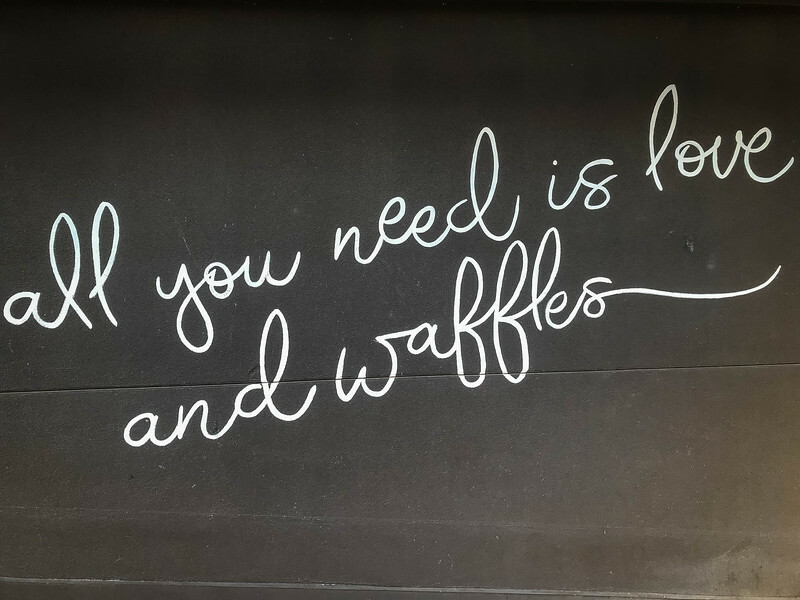 In fact, I would argue that Waffle Champion is perhaps one of the best places to experience breakfast regardless of location. A pretty high standard we have set but after you visit, I’m sure you will agree this place is awesome! 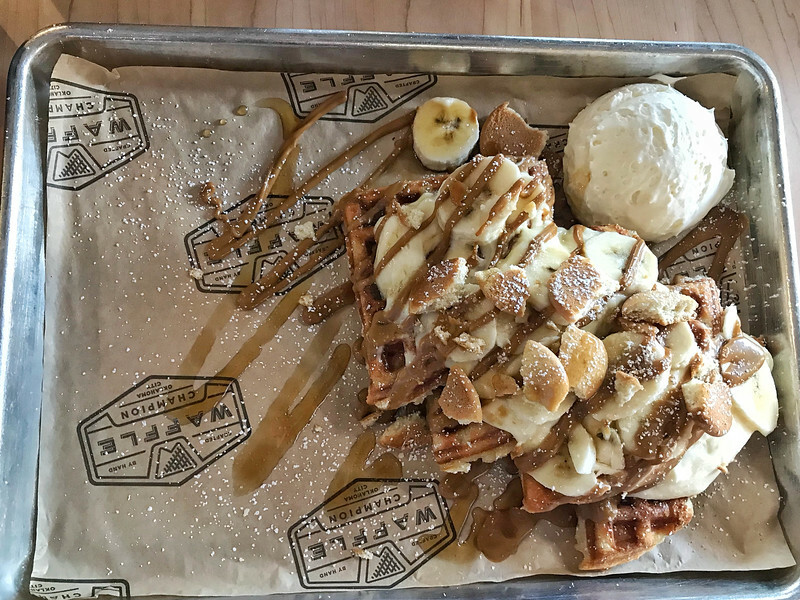 Open daily between 7:00 AM and 2:00 PM and then late in the evening on Friday and Saturday, Waffle Champion is an urban eatery offering more than just your traditional waffle experience. Be prepared to arrive early, otherwise, you can expect a pretty long wait as you wrap around the corner…don’t worry though, you will be entertained with the mural on the side of the building that is certainly appropriate for this location! For those of you that want the stereotypical Southern fare, try the Chicken and Waffles but whether you prefer sweet or savory, you can be sure that Waffle Champion will have something that makes your taste buds salivate. It’s fair to say that anyone with a sweet tooth won’t be able to resist the variety of delectable looking dishes at Waffle Champion. From the Raspberries and Cream to the Banana Cream Pie, you should probably be prepared to have an incredibly tough decision on what to devour. Regardless of your choice, the moment the waffle touches the tip of your tongue, you will know that Waffle Champion is a place you will want to return to time and time again…perhaps even on the same trip to Oklahoma City! 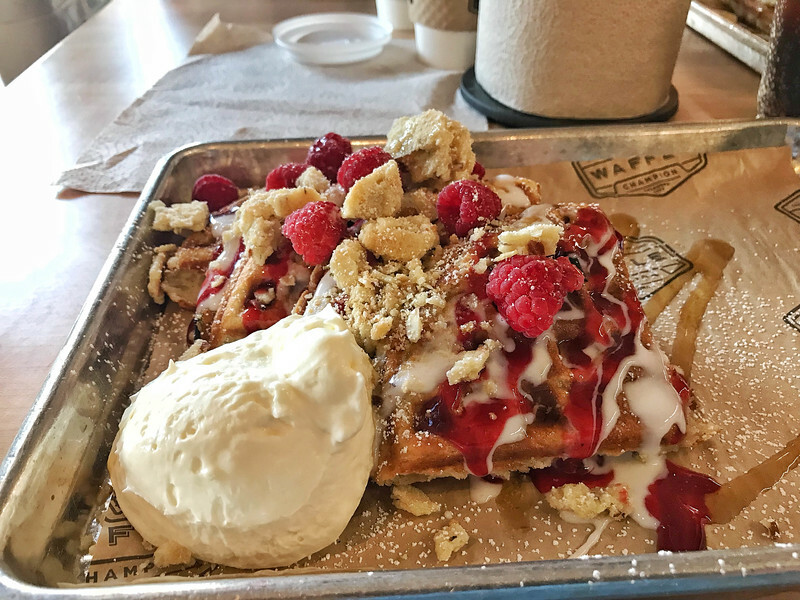 You may have noticed in the above itinerary that on day 1, we skipped lunch…after eating Waffle Champion, you will quickly realize why we did this because you will be pretty full for the majority of the day. Looking for somewhere to stay in Oklahoma City? 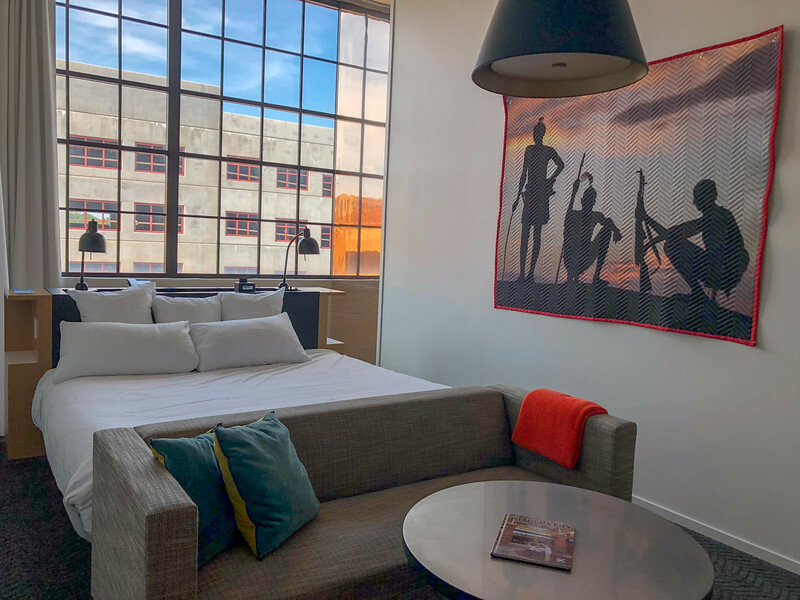 Why not consider a hotel that has been transformed from the former home of the Ford Motor Company into an “urban-chic” and trendy accommodation option, combined with a modern art museum that has a plethora of exhibits on display that will challenge your imagination and creativity. 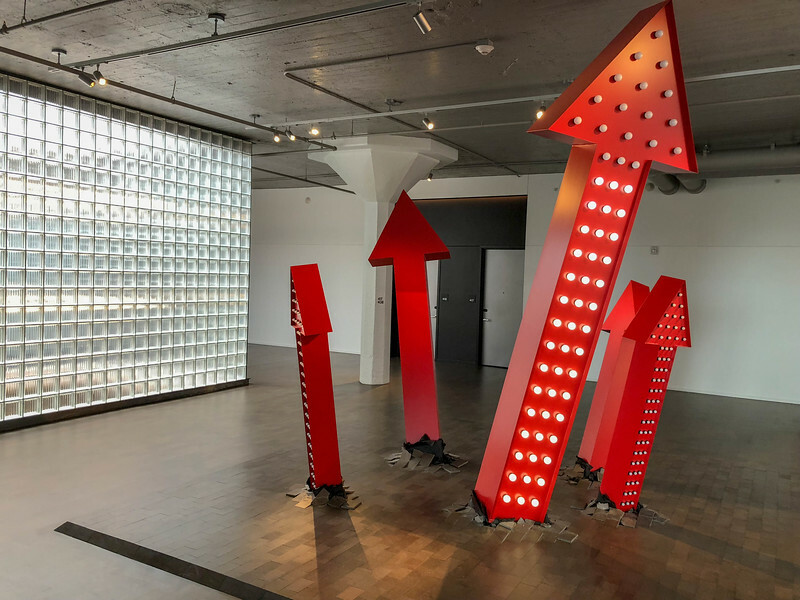 Whether you are an avid art critic or simply someone who enjoys perusing art galleries, 21c Museum Hotel in the heart of downtown Oklahoma City will surely entice you into admiring the art galleries throughout the building. For those of you that opt to stay here, and we can 100% attest that this is an AWESOME option, you can enjoy gorgeous, high-ceiling rooms with huge windows that allow an abundance of natural light to flow through and create the perfect, relaxing environment to enjoy a good nights sleep before exploring more of the city. 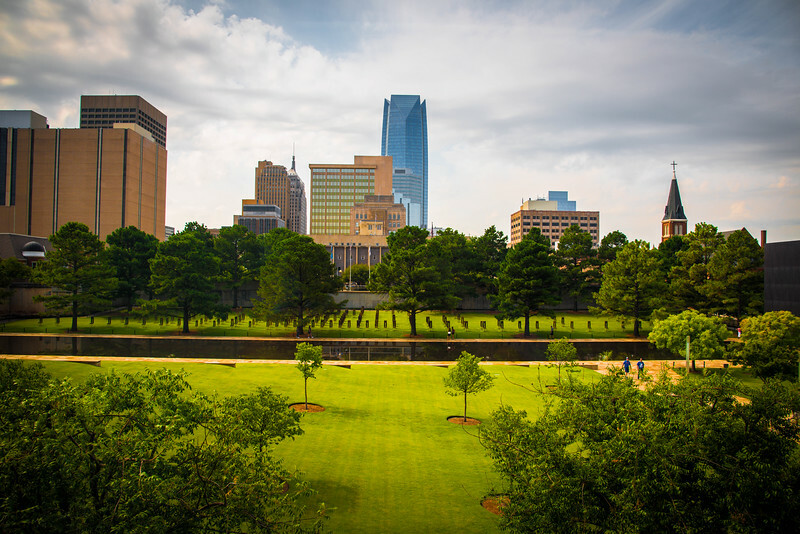 Perfectly situated just a short walk from the Myriad Botanical Gardens, you can easily access many of Oklahoma City’s iconic neighborhoods from this hotel. 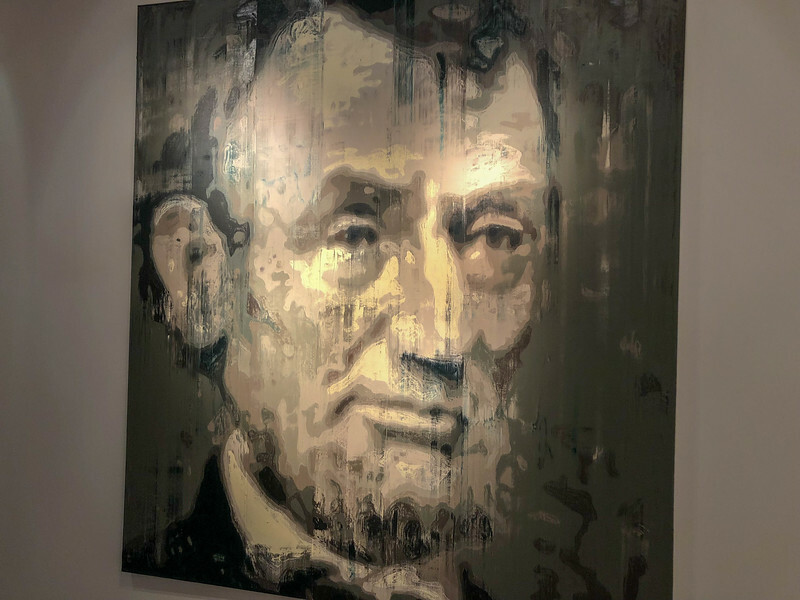 Contemporary art is the heart of the 21c experience. 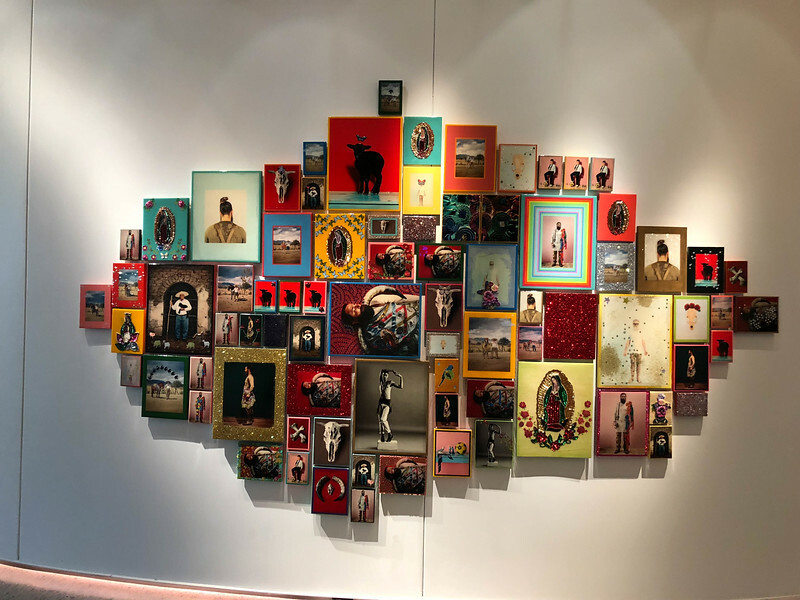 If you prefer to stay elsewhere, take some time to explore the exhibits as many of these are unique and epitomize the contemporary art scene that they are representing. The Wheeler Riverfront Plaza is home to a Ferris Wheel, formerly located on the Santa Monica pier in California. Love a little bit of trivia? The Wheeler Ferris Wheel was purchased by Grant Humphreys in 2008 for a little over $130,000. There may be anything too unusual about that but when you learn that Humphreys purchased this by bidding on an eBay auction, well it adds a little craziness to the story! 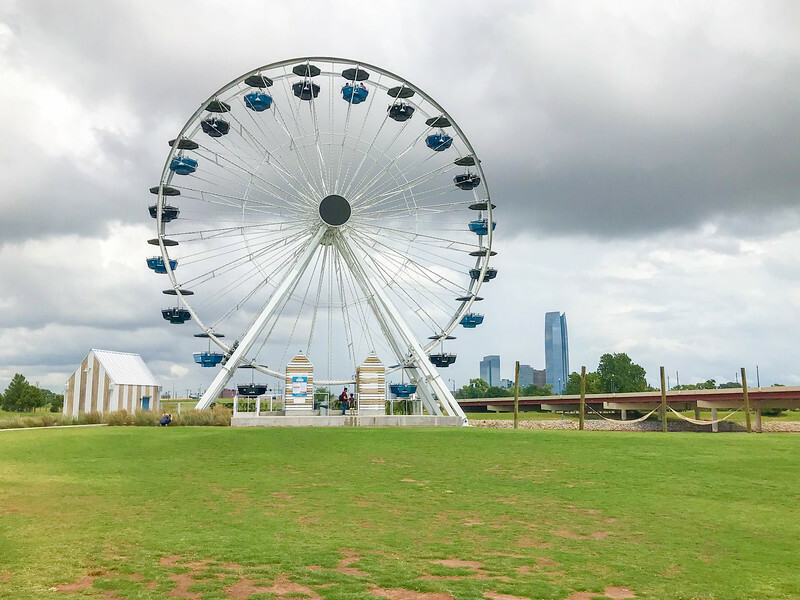 Today, visitors to the Wheeler neighborhood can enjoy the gorgeous wheel for only $6 while admiring the breathtaking Oklahoma City skyline. 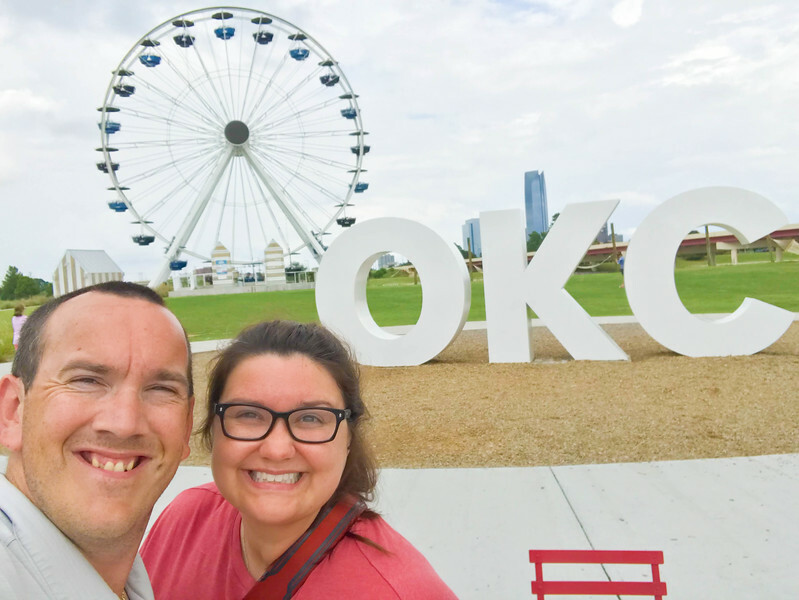 Be sure to capture a selfie with the skyline and the large OKC letters that stand proudly in front of the Ferris wheel. Visiting this part of Oklahoma City is more than just about riding the former Santa Monica Ferris wheel. 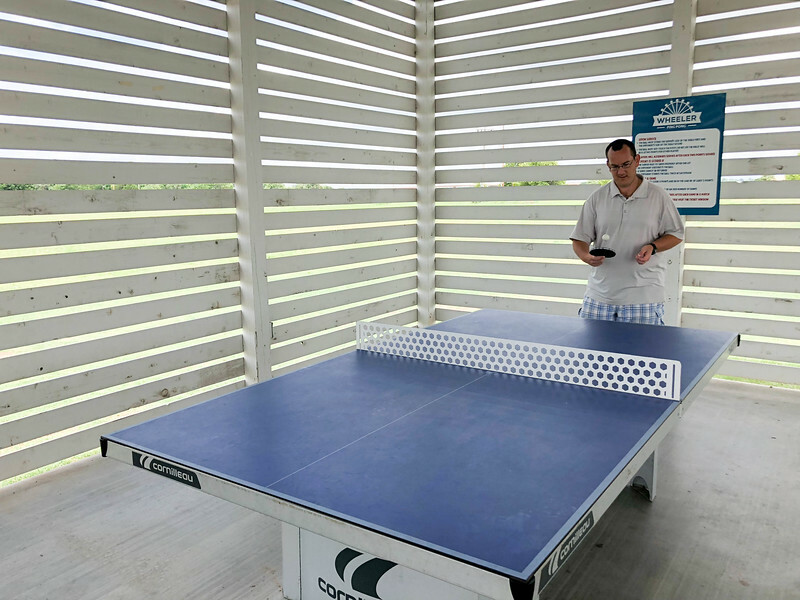 A roofed area provides an opportunity for locals and visitors alike to test their skills on a ping pong table or perhaps a game of life-sized Connect 4 is a little more appealing. Exhausted by the thought of spending an action-packed 48 hours exploring the best of OKC? Don’t worry, you can kick your feet up and hop on one of the hammocks while listening to typical fair music and enjoying the spectacular sunset beyond the OKC skyline! 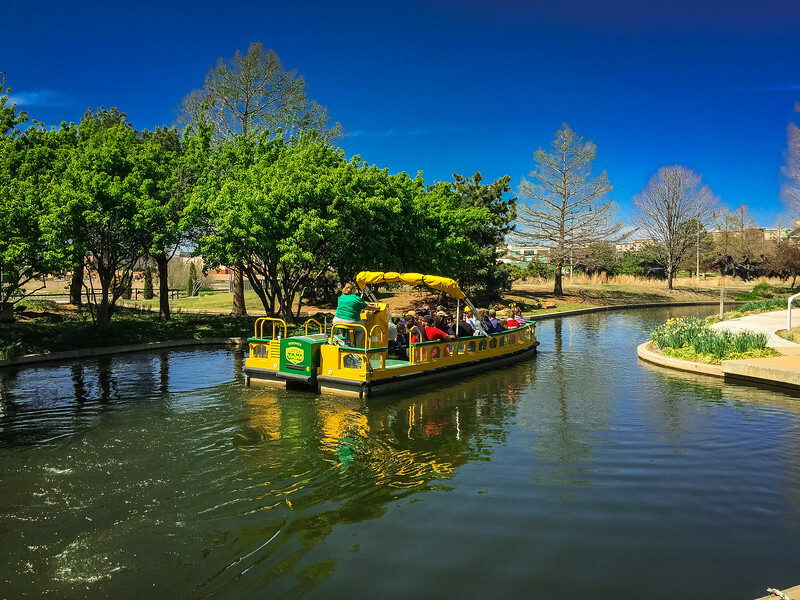 Hop aboard the awesome Bricktown Water Taxi to enjoy a relaxing cruise through the heart of the vibrant Bricktown entertainment district. 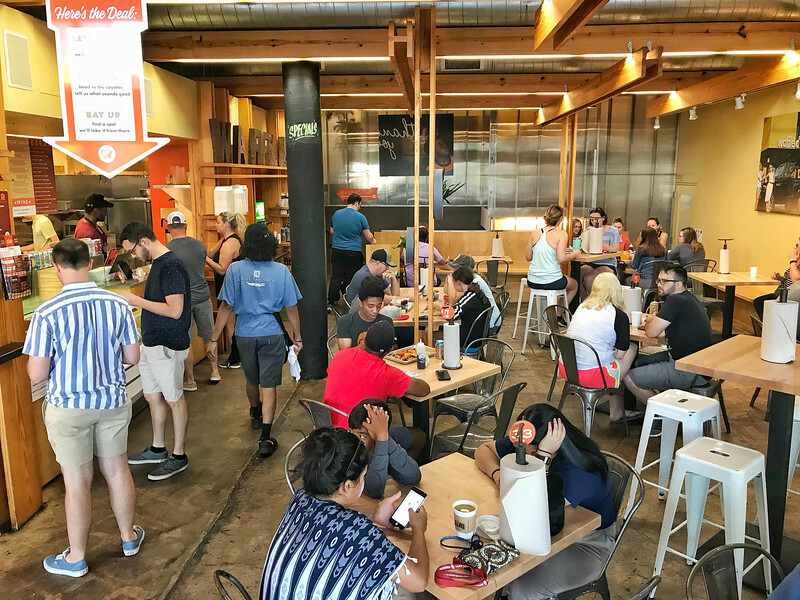 This neighborhood epitomizes the recent transformation of Oklahoma City and is now a hub of eclectic restaurants, bars and of course, the headquarters of Sonic can be found located along the banks of the canals that intertwine this area. The beauty of purchasing a ticket to the Bricktown Water Taxi is that you will receive a day pass that can be utilized multiple times. 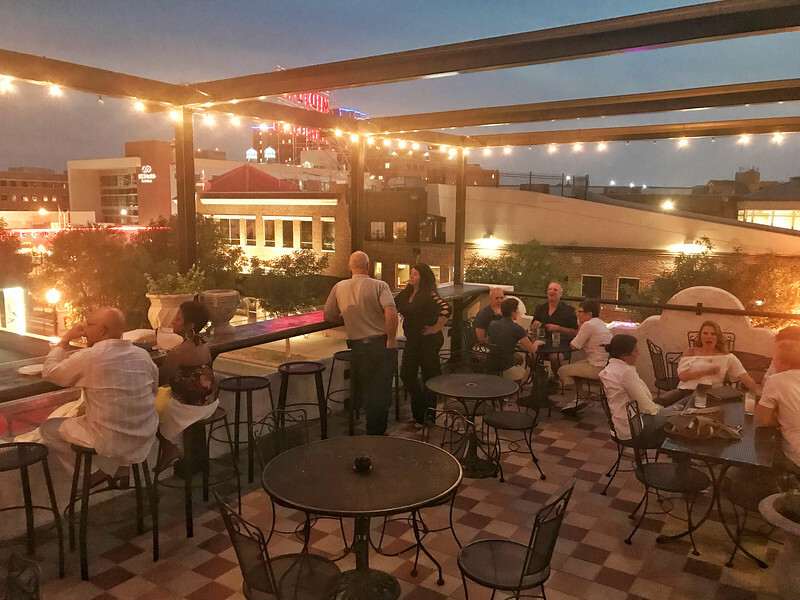 We strongly recommend taking a tour during the day and for those of you that want to enjoy a romantic late evening cruise, why not head out again after dusk and enjoy the bright lights of OKC as you cruise around the canals. 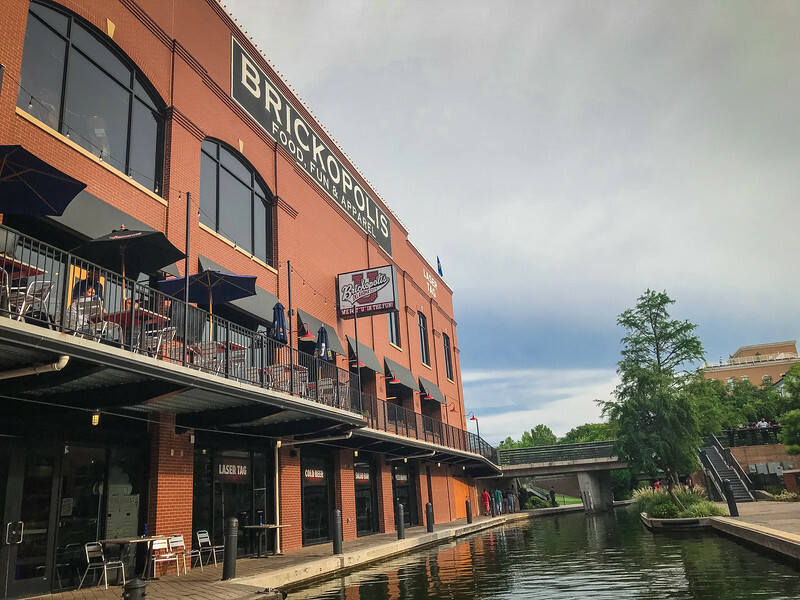 Local guides will provide commentary throughout the 40-minute cruise, pointing out key landmarks and sharing a historical perspective on how the Bricktown neighborhood has evolved. 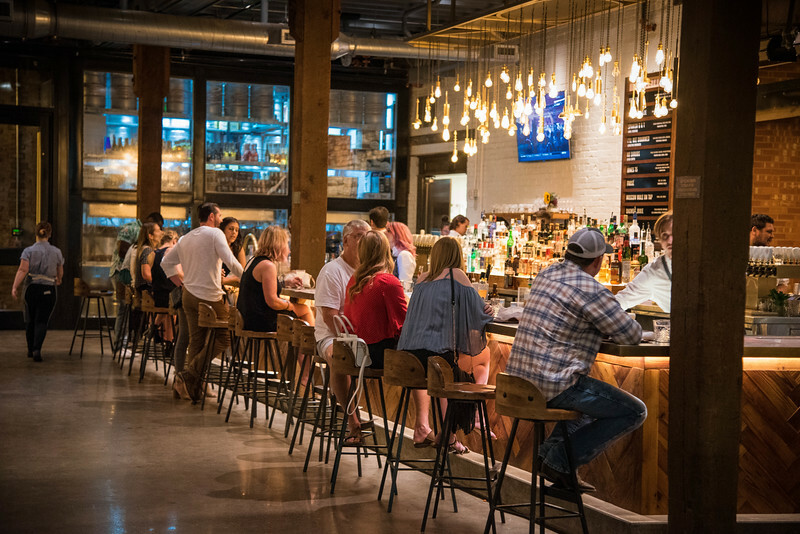 Renowned as an “industrial chic” location to enjoy dinner and late night entertainment, “The Jones Assembly” is the perfect place to experience some of Oklahoma City’s finest cuisine and beverage selections. The moment you walk through the doors, you immediately realize you are in a pretty special place. Gorgeous decor throughout the restaurant highlighted by the collection of 8-track tapes on the wall is just the start of your experience. When it comes to browsing the menu, it’s fair to say the eclectic collection of cuisine options will surely entice your interest. 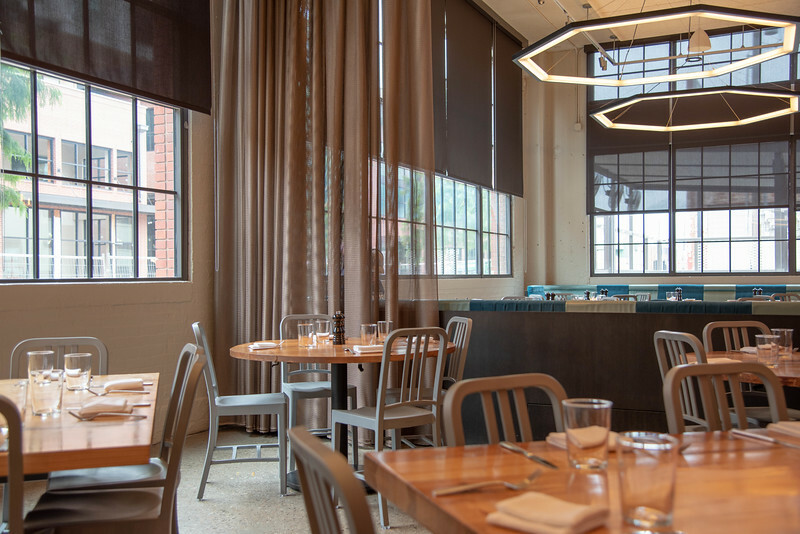 From the appetizing sound of octopus or fried okra for an appetizer to a diverse range of entree options, the Jones Assembly is not short of options from across the globe. Heather sampled one of the pizzas while I had to sample a little southern fare with the Nashville Hot Chicken. 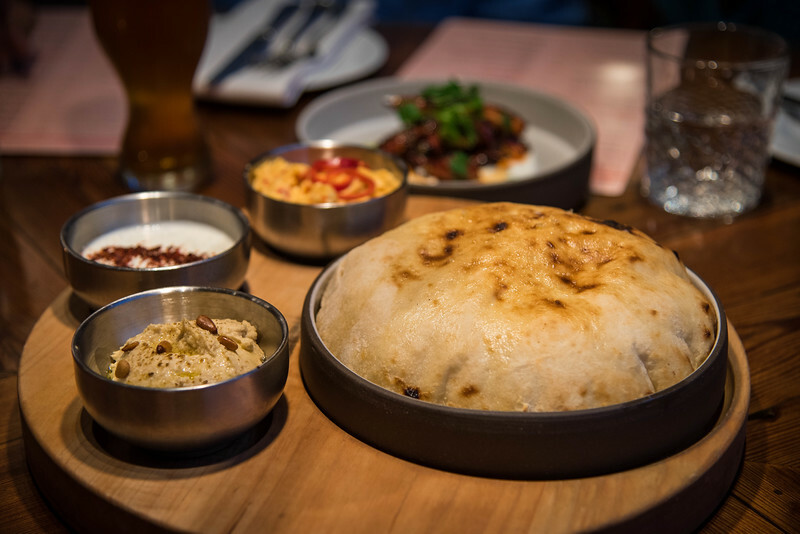 It’s one of those places that regardless of your palate, you can’t really go wrong with any of the menu options. Enjoying the delicious cuisine is just part of the experience as the temptation of sampling one of the fine cocktails or other concoctions will surely be too strong to resist. How does the thought of a “Dagwell Dixie” sound? Or perhaps you are intrigued by the possibility of indulging in a “Fire Emoji”? 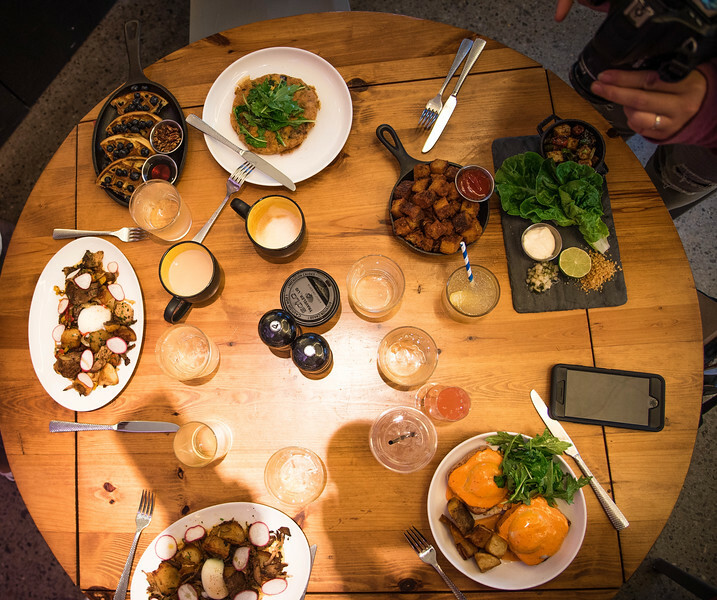 Whether you are a cocktail connoisseur or simply prefer the thought of sampling one of the many craft beers on tap, the Jones Assembly has unlimited beverage options to meet everyone’s taste buds. 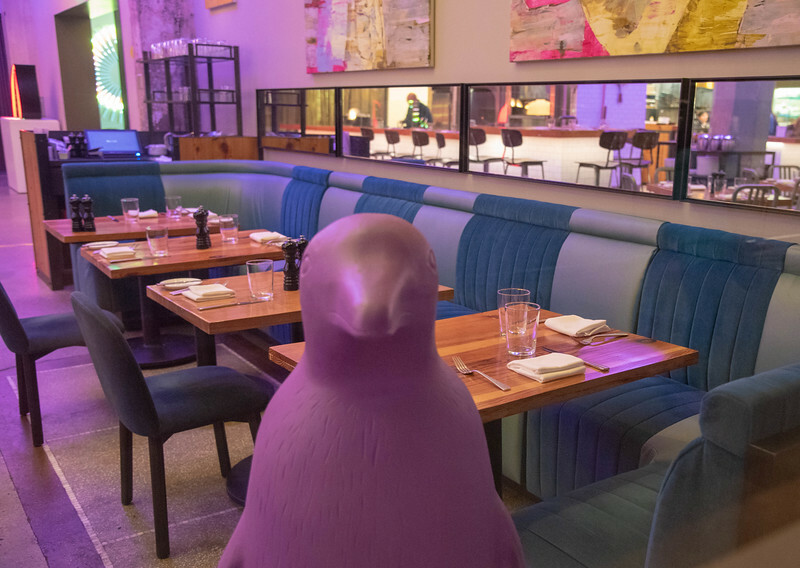 If you followed our above recommendation of staying at the 21c Museum Hotel, why not head downstairs after a relaxing night’s sleep and enjoy a delicious brunch at the in-house restaurant – Mary Eddy’s. Even if you are not staying at this hotel, you are welcome to experience this modern restaurant. Offering an extensive menu of breakfast and lunch items, Mary Eddy’s showcases yet another unique side of Oklahoma City’s “foodie” scene. 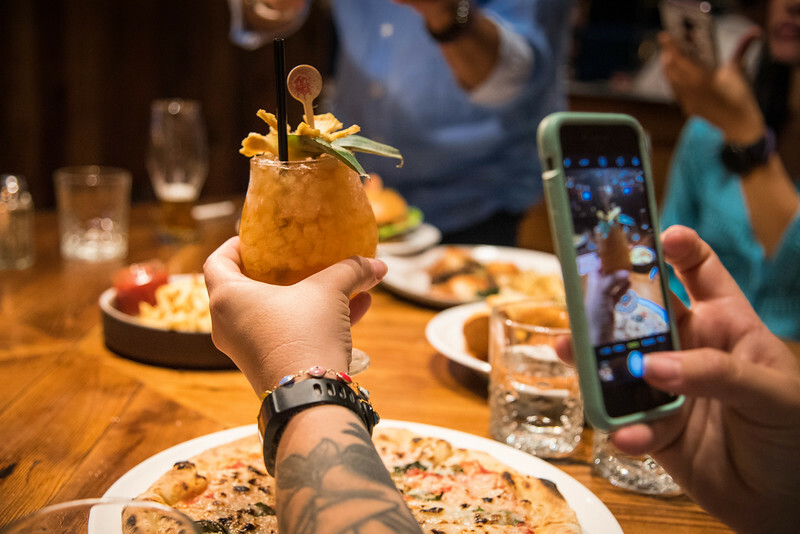 Chef Jason Campbell’s bold and eclectic take on “New American” cuisine is definitely apparent throughout the menu and if you are looking for traditional breakfast fare, perhaps you should think outside the box and indulge in one of the appetizing brunch items. 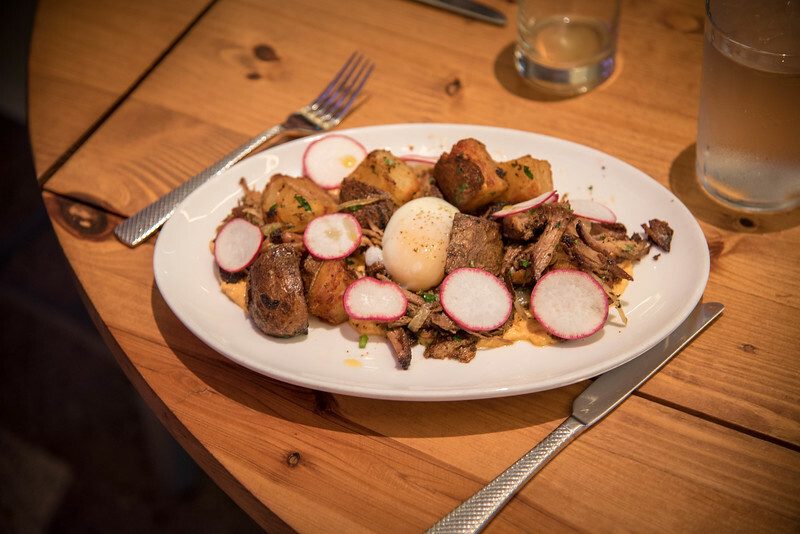 The Smoked Pork Hash offers a decadent blend of pimento cheese, pickled peppers, crispy potatoes, and a “coddled” egg in the heart of the dish, waiting for you to slide your knife through and watch the yolk explode across the rest of the ingredients. 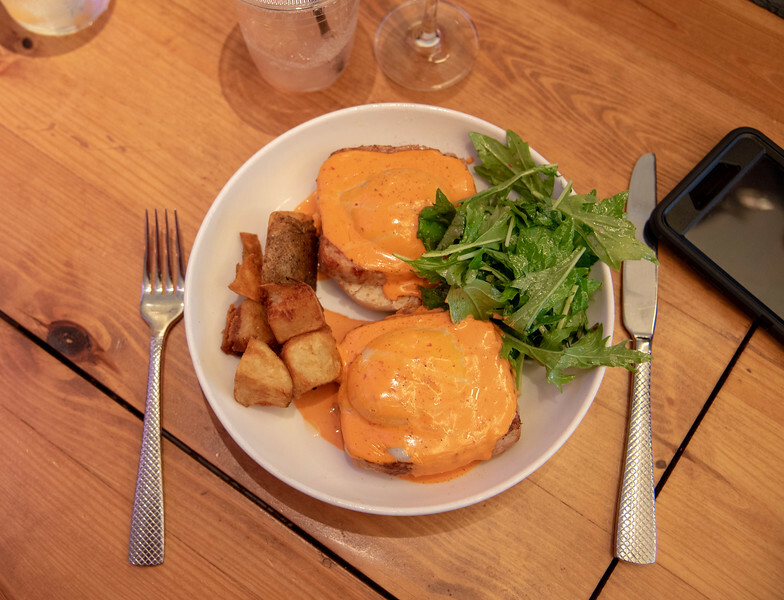 This is arguably the ultimate “brunch” dish but if you are looking for something a little more traditional, the Eggs Benedict featuring chicken-jalapeno sausage, red chili hollandaise sauce, and a coddled egg is certainly a great choice. The cocktail selection at Mary Eddy’s offers the perfect way to start your day with an early morning aperitif. The Boozy Blossom features prosecco, hibiscus, orange blossom, and orange juice but perhaps the more traditional Bucks Fizz (renowned as the “original mimosa”) is more appealing. 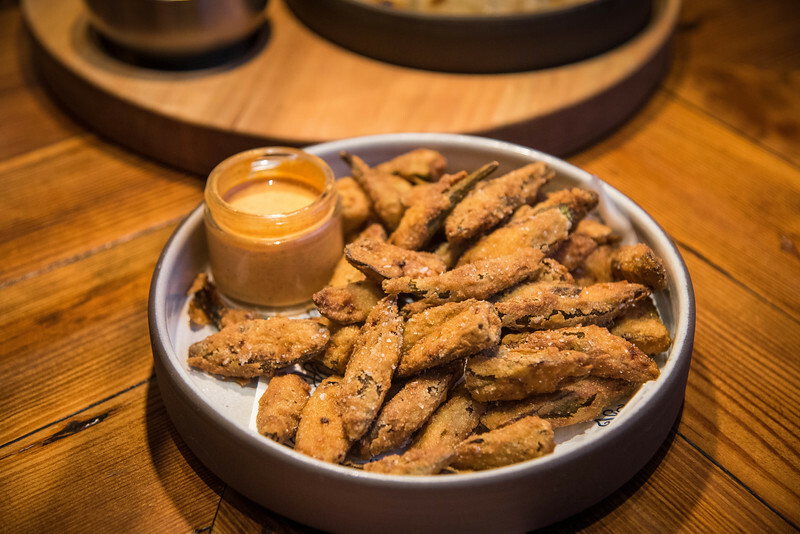 For the vegans out there, Mary Eddy’s has a number of options available, just like many other restaurants across Oklahoma City. 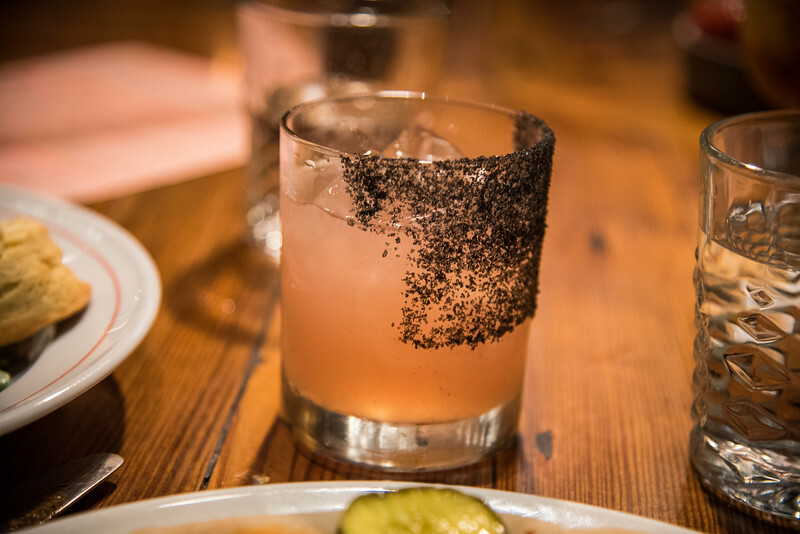 If you are interested in finding out more about the available menu items here that are Vegan-friendly, check out this awesome guide to Vegan restaurants in Oklahoma City by our friend Ashley from A Southern Gypsy. 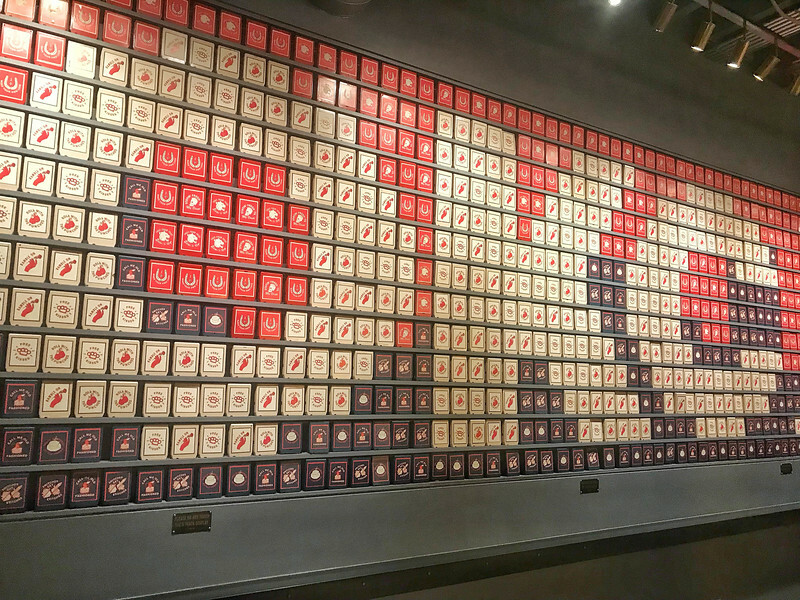 For the majority of Oklahoma City locals, there is one historic event that changed their perspective on life and today, the Oklahoma City National Memorial and Museum is an attraction that EVERY visitors to OKC should experience. 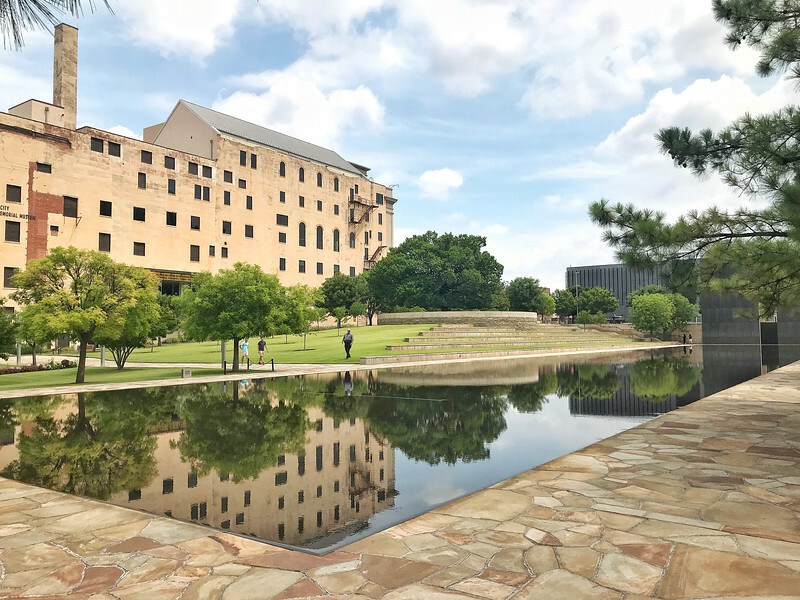 On April 19, 1995, Timothy McVeigh and Terry Nichols committed an act of terror that killed 168 innocent individuals when they bombed the Alfred P. Murrah Federal Building in the heart of downtown Oklahoma City. 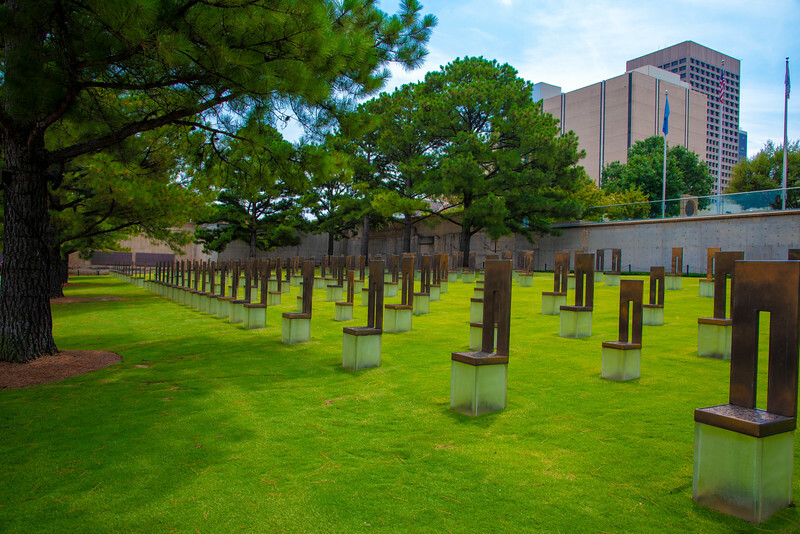 Visiting the OKC National Memorial and Museum is just like any other tribute to a historic event that saw innocent people lose their lives. Poignant, somber, moving and even distressing are all words you will likely use to describe the experience inside this museum. However, at the same time, this experience is all about another word – transformation! Oklahoma City will NEVER FORGET the people that lost their lives and all the thousands of individuals that helped on that tragic day but this is a city that exemplifies how a location can recover and move forward after such a catastrophe. 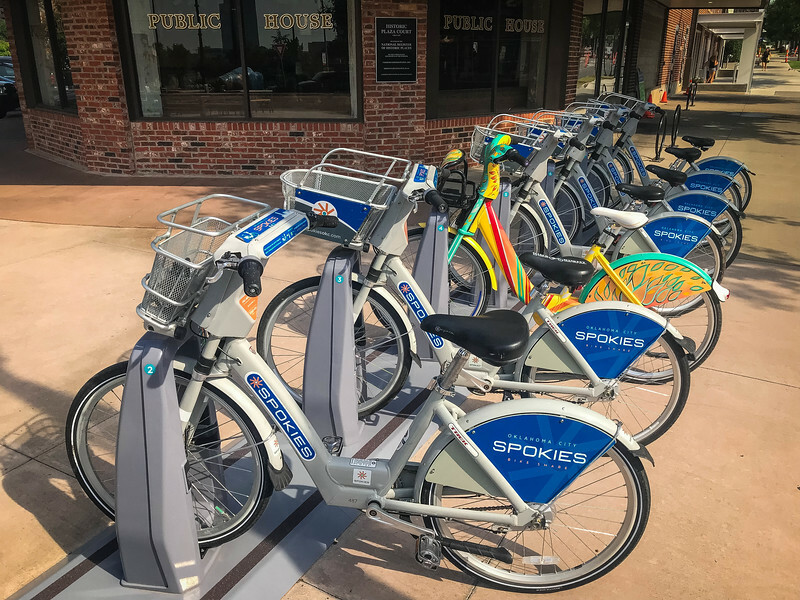 After spending much of your trip to Oklahoma City indoors, head downtown and explore the various surrounding neighborhoods on a bicycle courtesy of Spokies. 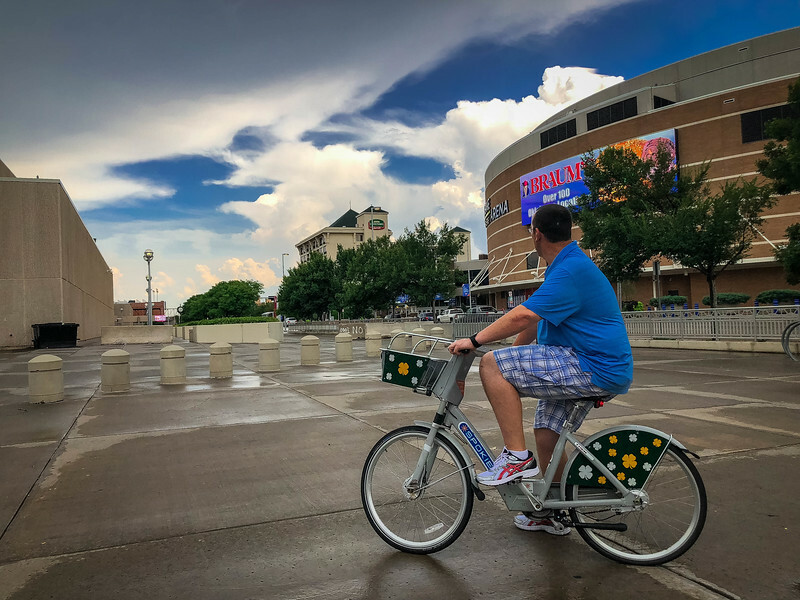 The only bike share program in Oklahoma City offers locals and visitors alike, the opportunity to explore the very best of OKC’s neighborhoods. We love exploring the local creativity on display through the various street art murals and hopping on a Spokies bike is an ideal way to accomplish this. 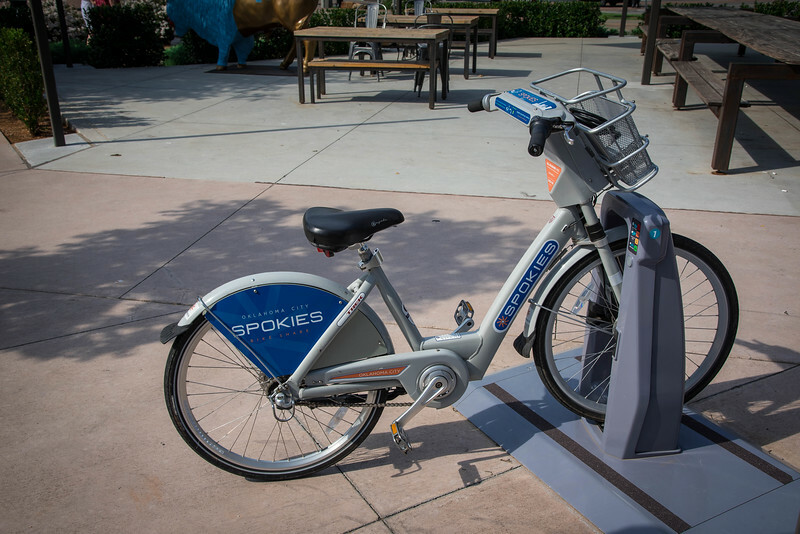 Throughout downtown OKC, various base stations are located where you can use the Spokies app and rent a bike. A 2-day pass is available and as long as you “dock” your bike every hour, you can take unlimited trips around the city. 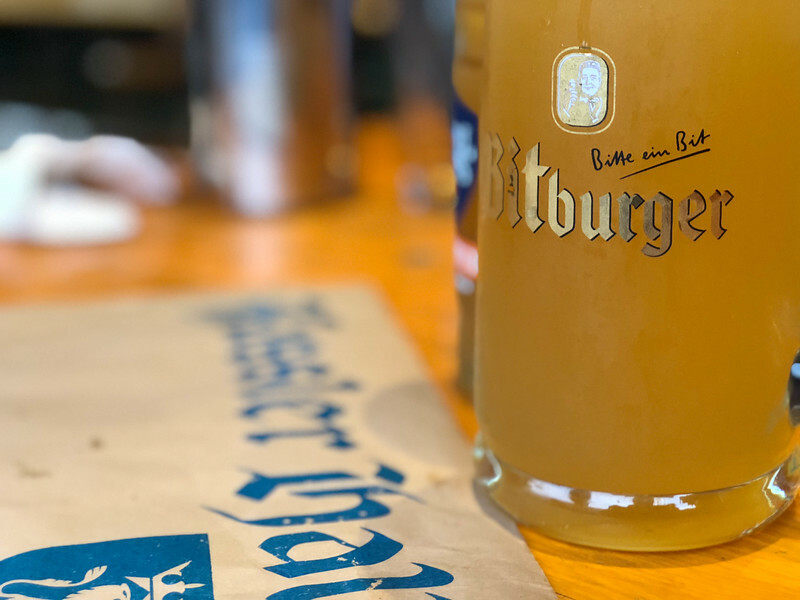 If you have been fortunate enough to travel to Germany, you will know that the German locals love to drink beer. 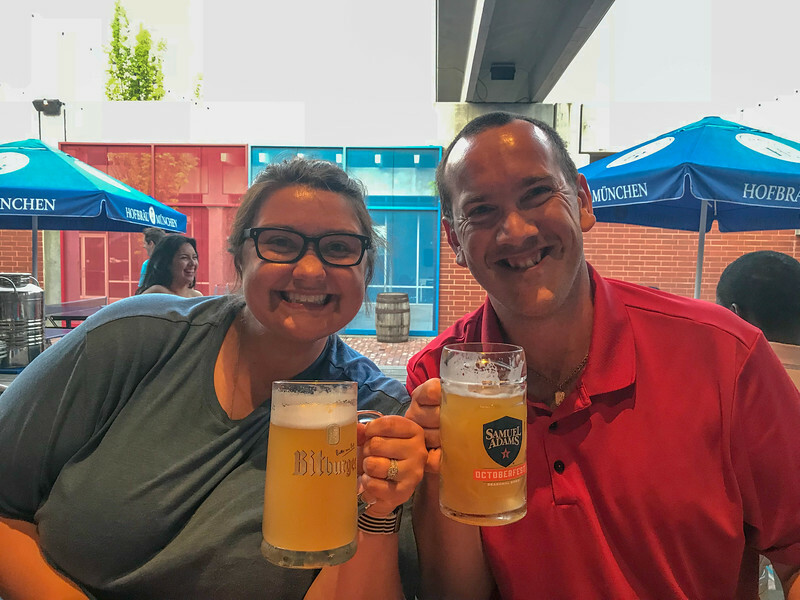 What better way to celebrate the end of your Oklahoma City trip than by visiting a traditional German beer hall. 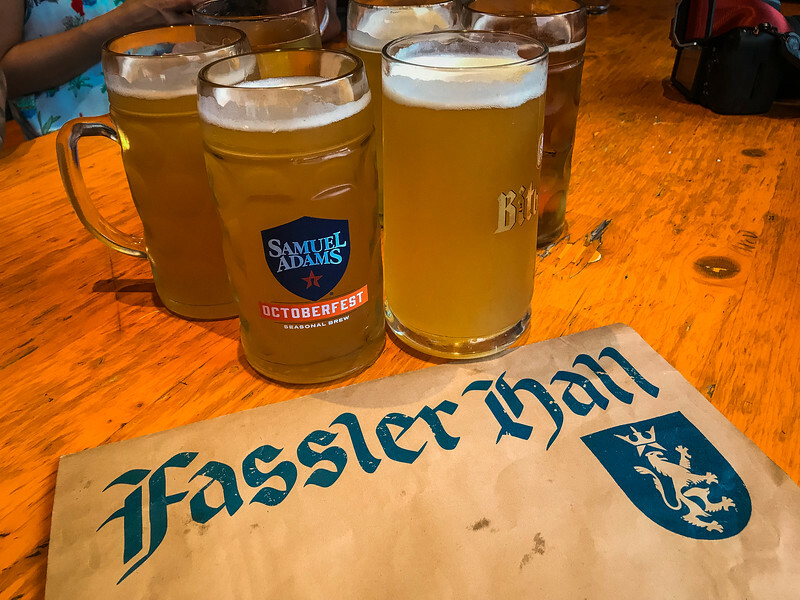 Fassler Hall epitomizes the German beer drinking culture and it’s the perfect place to enjoy a couple of pints with friends while listening to live entertainment. 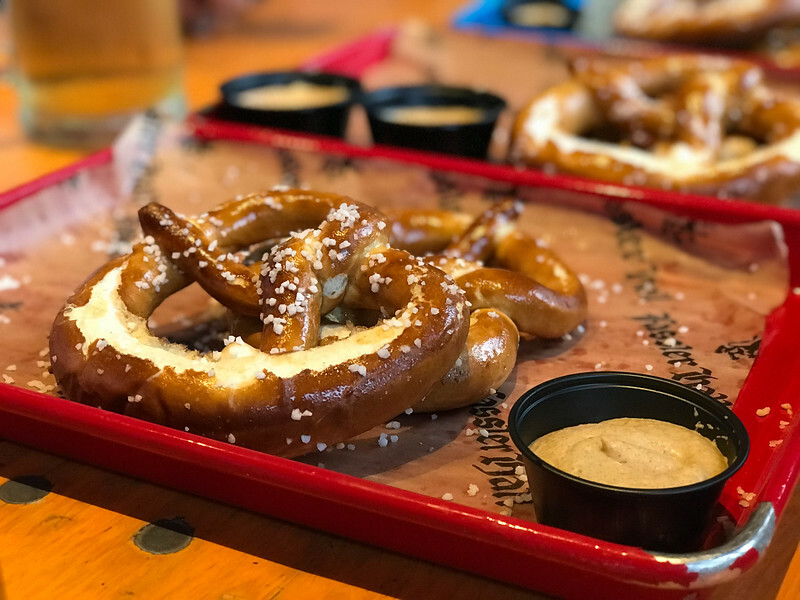 Traditional German cuisine featuring Bratwurst among many other types of sausage, pretzels, Spätzle, and Schnitzel are all available on the diverse menu. 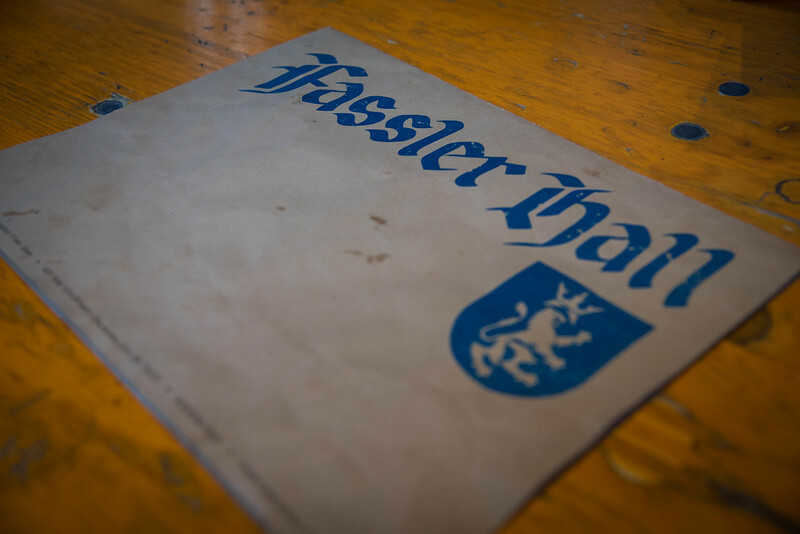 Even if you don’t intend on dining at Fassler Hall, be sure to enjoy an appetizer or two while sampling some of Germany’s finest beer selection right here in Oklahoma City. 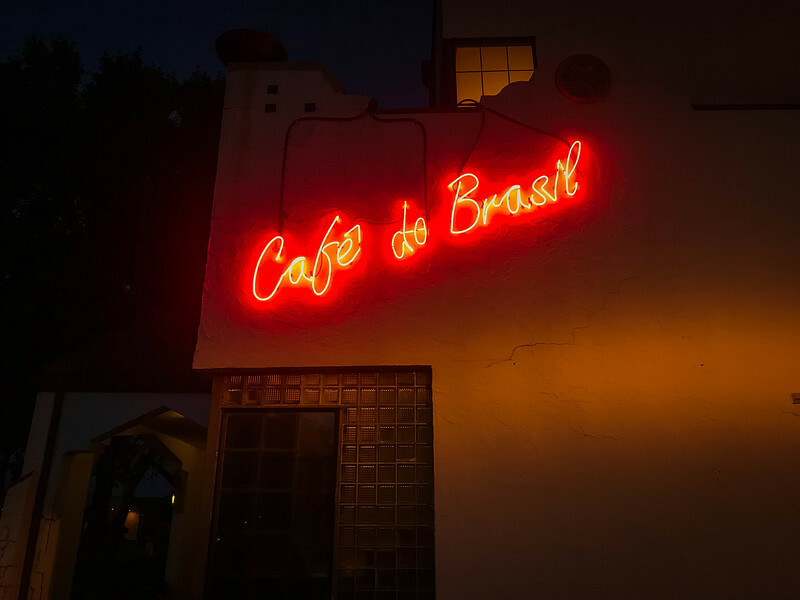 Although the live music at Fassler Hall offers great entertainment, if you are looking to chat among friends and reflect on your experience in Oklahoma City, take a short walk over to Cafe do Brasil to enjoy dinner or head upstairs to the Bossa Nova Caipirinha Lounge where you can enjoy tapas and a selection of Brazilian inspired beverages. 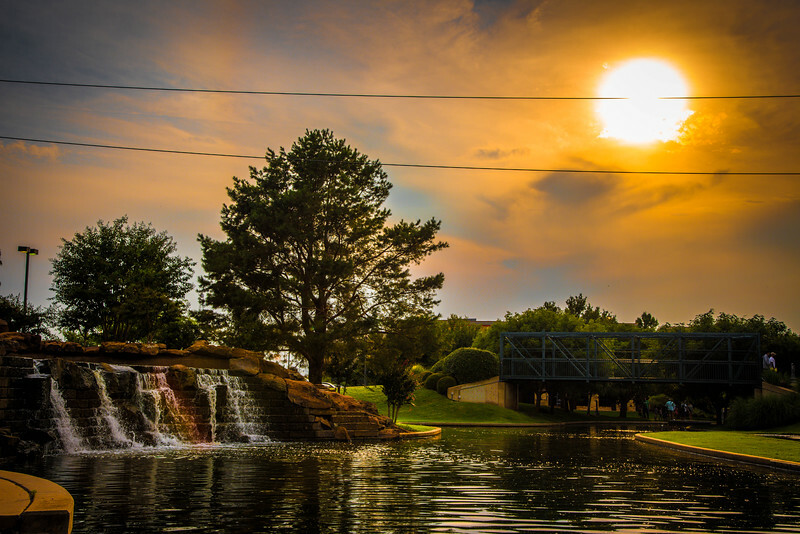 Oklahoma City is one of the best cities to experience if you only have 48 hours. 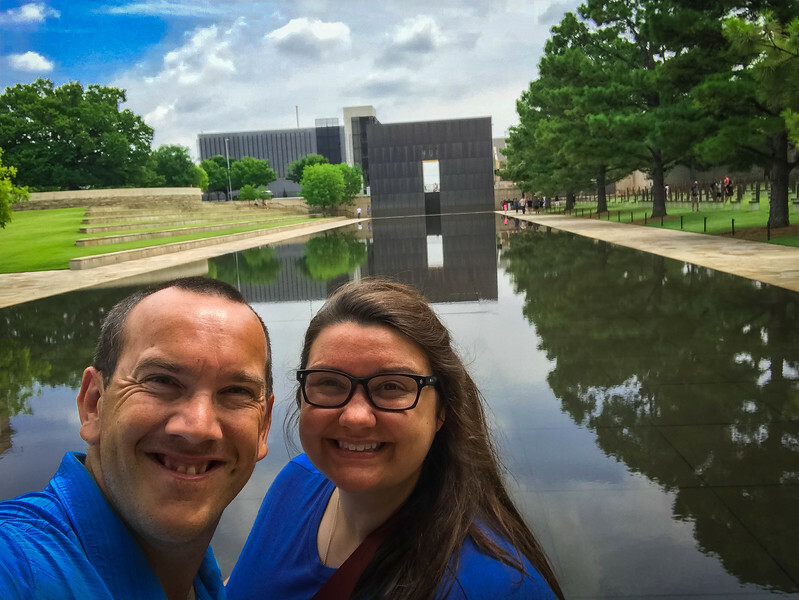 For many cities, 48 hours is barely enough to scratch the surface but although it’s feasible to spend much longer in the capital of Oklahoma, spending a weekend here is a great length of time to find out exactly why this is such an amazing city. When you visit OKC for the first time, you cannot help but be pleasantly surprised and shocked by what you see. 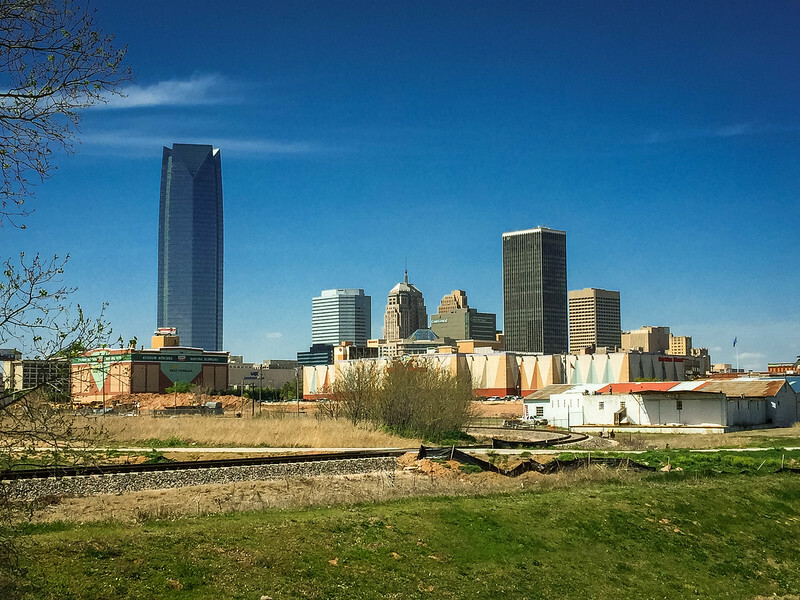 I will openly admit that during our first visit in 2015, I had no idea what to expect and I left the city realizing that any negative stereotypes surrounding Oklahoma City should be quickly dismissed. Going back a few years later on our recent trip, this was the perfect opportunity to see how this city has developed, re-visit some old traditions that you cannot afford to miss on any visit (e.g. 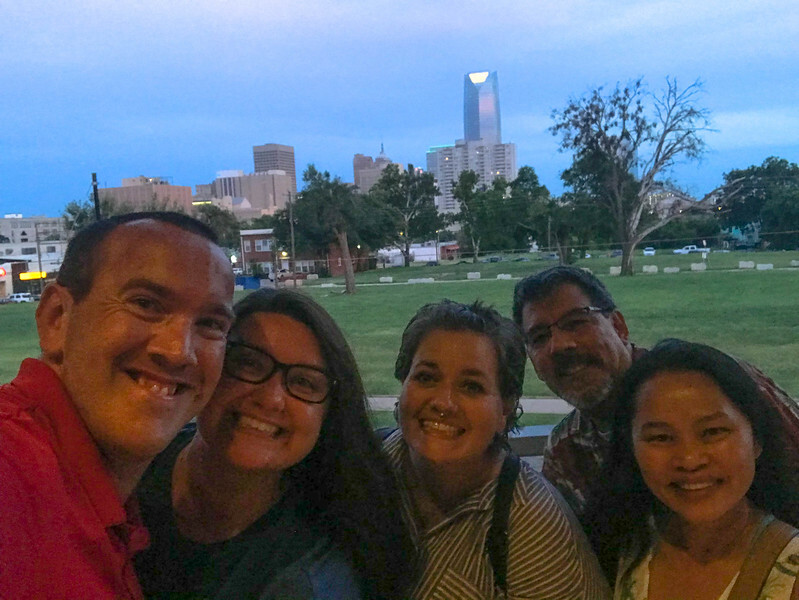 Waffle Champion, National Memorial Museum and the Bricktown Water Taxi) and share our personal experiences with some of our friends in the travel blogging industry. 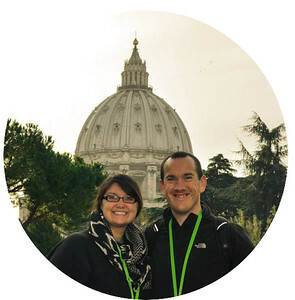 I’m sure that Ashley from A Southern Gypsy and Rob and Ann from TravelLatte will agree that this is a place that far exceeded any expectations they had prior to visiting. We hope that you will be inspired to visit Oklahoma City in the near future and share your experiences in this beautiful city. 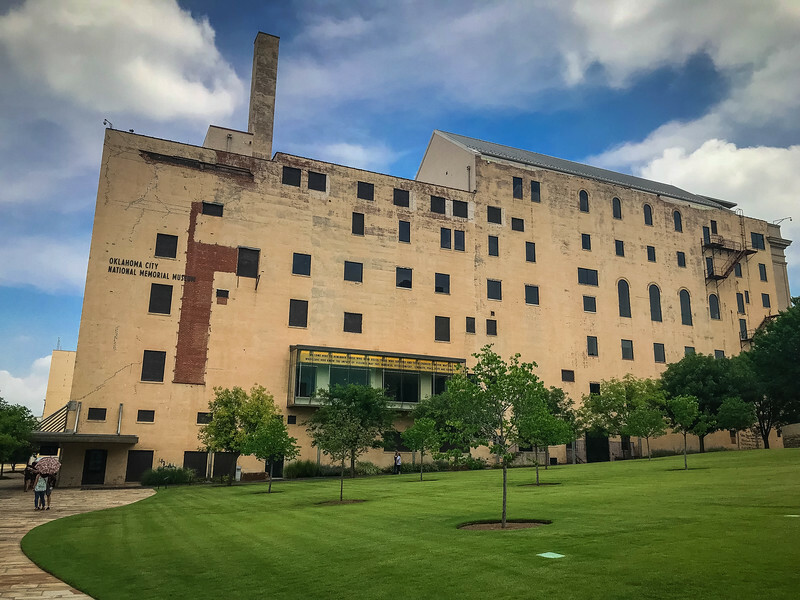 We cannot wait to return and experience more of the “Oklahoma Standard” that this city has become notorious for…”resilience in the face of adversity” and definitely something you can see throughout the city! Oh my! That hotel looks awesome, I’d really love to stay there. Thank you for introducing me to Oklahoma city!! Glad you guys enjoyed my hometown. 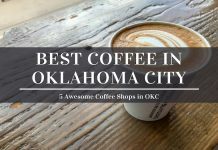 OKC is really making a name for itself in recent years, and as you’ve evidenced, it’s for good reason! Wonderful post! There are so many exciting options when visiting Oklahoma! Good post, You shared the amazing experience of your trip. its really enjoyable and Oklahoma is a beautiful destination to visit. Your pictures are really great thanks for sharing this post with us.